tell me how to look away from that window. this acrobat of sidewalks and side roads. too late: a bit of twine, a few wires, all that was left. 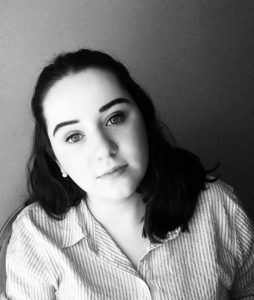 Megan Lunny is from Doylestown, PA, where she writes for her local newspaper, and where she was named Bucks County High School Poet of 2017. Megan also holds a Gold Medal in Flash Fiction from National Scholastic Art and Writing.